I had hip replacement surgery on December 10th 2018. One week later I fell. Blacked out woke up in my bathtub. No pain nothing broken, just bruised leg and head. It was if my God carefully placed me there!!! My Drs. both were amazed, as I landed on my back with the walker over my body. God does miracles so well. Love Joanada always in love with my Lord. 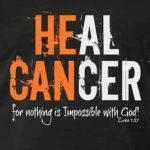 Sister Rhonda Matier went to the doctor two weeks ago for a normal routine checkup and was informed after test results returned that she was one step away from having cancer and that she needed to have a procedure done ASAP. She was then referred to the specialist to have the procedure done. Between this time and the appointment with the specialist Pastor Keith Hudson called everyone up for corporate prayer that Sunday. Things were called out and released during this corporate prayer. During prayer sister Rhonda stated that she became nauseated ? and later sick. 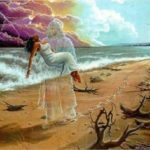 Her appointment with the specialist was After the corporate prayer that week Once there the physician felt the need to retest sis Rhonda Myers Matier. Well.. low and behold.. the doctor came back and stated that they saw ABSOLUTELY NO SIGNS OF CANCER or any Cancerous tissue and the procedure was no longer necessary! PRAYER WORKS AND IT DOES CHANGE THINGS!! To GOD WE GIVE ALL THANKS AND GLORY!! For his SUPERNATURAL HEALING POWER is real! Another one healed in Jesus name. Be encouraged today, if God did it for her HE CAN DO IT FOR YOU TOO! !